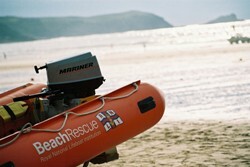 A LIFEGUARD is trained to ensure his safety first, before attempting to save another. He has to be a skilled swimmer in the first place to be considered worthy to save another person’s life. In the standard airplane emergency drill, the adult passenger is told to put on her oxygen mask first before assisting their child. Selfishness? No. The fact is that we can’t save another person if our own lives are in danger. To help others, we need energy and skill and a calm head on our shoulders–and that applies to real-life catastrophes and day-to-day routines. Don’t feel guilty about giving to yourself. As working moms, we are programmed to always give care to our children and spouses, oftentimes to the point of neglecting ourselves. Drowning in household chores and everyday concerns, we do not develop our talents and hone our skills. Unable to breathe in new competencies for our own self-development, we cannot give our loved ones the strength, the help and oftentimes the insppiration they need to survive and grow in life. This is why when my eldest daughter who is about to give birth this February asked me whether or not she should give up her job once she gives birth, I told her not to give up her career. Professional work, within the context of a balanced life, will help her keep her marriage and raise good kids. This is something that some working moms fail to realize, which is why at work, there is a strong bias against women, especially working moms. When I started this column, I talked about how “glass ceilings” block the advancement of women and minorities into upper-level management positions. A US survey identified the obstacles to women’s advancement at work and common negative perceptions of women. In last year’s batch of columns, I tackled how women can overcome these obstacles. Now that you’ve removed the blocks, you are now ready to plant the seeds to your success. That is our theme for my 2003 columns: we will complete the picture by finding out how to address the needs of the changing workplace, the challenges in building a strong family, and the urgencies of self-development. But we will begin the growth period with a plan, so we know exactly where we want to go and what we will bring with us. Here are five steps to finding out where you are right now, and your specific goals for the year ahead. Step one. Assess your present situation. How are you doing at work? How are you faring at home? Are you in the pink of health? Are you mentally active and emotionally stable? Step two. Assess the external factors affecting you and your work and family situations. What are the new challenges in the workplace? What handicaps do you encounter at work? Do you have a support network at home? Do you live/ work in a healthy environment? Step three. Identify the competencies you need to care for your self, succeed at work, and build a stable family life. What competencies are needed in the new workplace? What skills do you need to “break the glass ceiling?” What values do you need to have a happy family life? What attitudes do you need to make sure you attend to your own self-development? Step four. Rate yourself on each of the competencies you have identified considering your present situation and external factors. Do you have significant, adequate, little or no competence on each item in your list? Those you’ve rated yourself low are your “training needs” and should go into your master plan. Step five. Write your master plan. On a sheet of paper, make and fill up three columns with the following headings starting from the left: list of competencies that need to be acquired or improved, steps to take, to be completed by. If you are able to take these five steps, you have now charted your path to success. The sixth and final step is to implement it. At first, the plan may seem to be daunting but you should not be disheartened because these are the keys you need to unlock the door t your dreams. Take one breath at a time, you will discover a better “you” who can be a lifeline for people you care for. Author: Regina Galang Reyes. Published in Metro Working Mom February 2003.